I was first introduced to this heavenly smelling shampoo by a friend who was living in London. 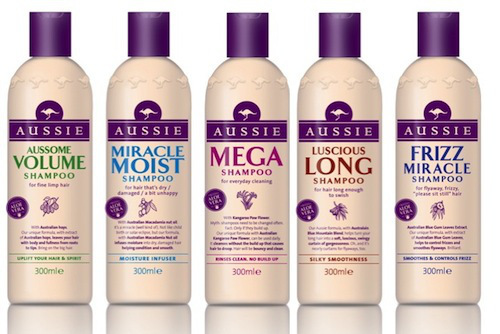 We had met up in New York for a holiday and she had very thoughtfully brought an Aussie shampoo and conditioner with her for me to try. The smell alone is amazing and it leaves your hair soft, shiny and frizz free. It has been available in South Africa for quite a while, but just in case you haven’t heard about it, try it, you won’t be sorry. I just wonder why we don’t have the bigger sizes ( pump action) purple bottles in South Africa. Cause I so love this product and its easier to use with the pump.And who wouldn’t want more of a product they absolutely love.